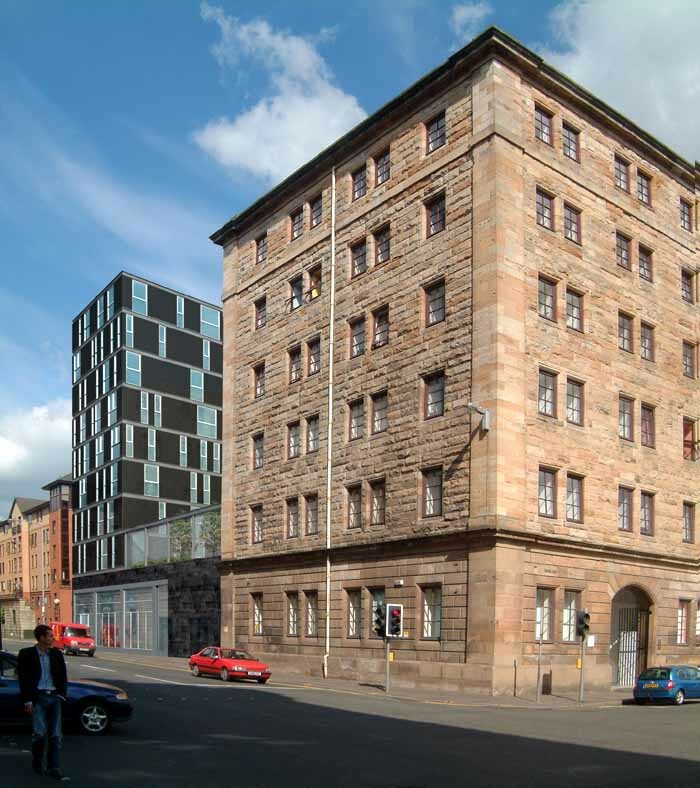 This July, Glasgow City Council granted planning permission for a modern new development of apartments at 80 High St in Glasgow’s Merchant City. The existing pub and empty offices will be replaced with new modern living accommodation comprising 32 1-bed apartments, a ground floor commercial unit and a communal roof garden. 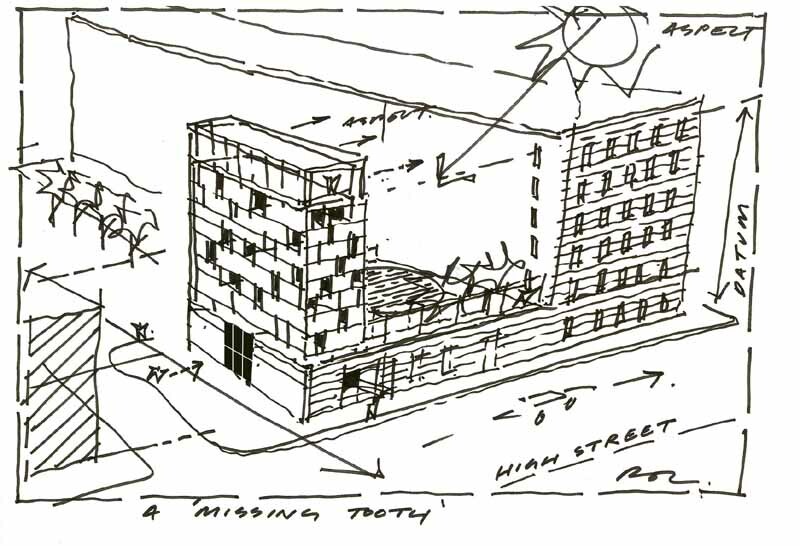 The plans for the development, described as the ‘missing tooth’ in the redevelopment of the High Street, will help sustain the continued renaissance in the Merchant City area of Glasgow. The site is positioned in a prominent location on the High Street, which is currently being developed along its length, with the existing pub in one of the few ‘gaps’, being only a single storey building. The street forms the boundary to the Merchant City area. The development gives respect to the adjacent Bell St warehouse in terms of scale as the proposed residential tower, comprising 8 storeys of accommodation upon the ground floor retail base, is similar in height to the warehouse. The landscaped roof garden above the retail space provides an ‘urban room’ between the tower and the warehouse, creating amenity space for the occupants of the building whilst allowing light through to both the warehouse and new facades. The external walls of the development are to be finished in black ceramic granite – a sleek, dark material giving contrast to the stone form of the Bell Street Warehouse. The commercial entrance and frontage is to the High Street with a separate private residential entrance to the side. 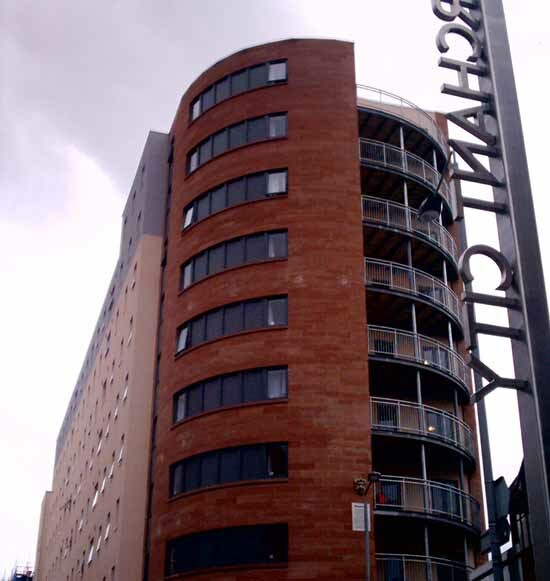 The area has high aspirations for its built environment, and by approving developments such as this one the City Council intends to create an area that contains “a unique urban quarter where artistic and cultural can mix with retail and a growing and much valued residential sector to generate activity.” The Merchant City Action Plan. RMJM has been working with the current owners of the site to develop the plan since 2001.
three-storey block which includes Bacchus pub and Bennett’s nightclub. 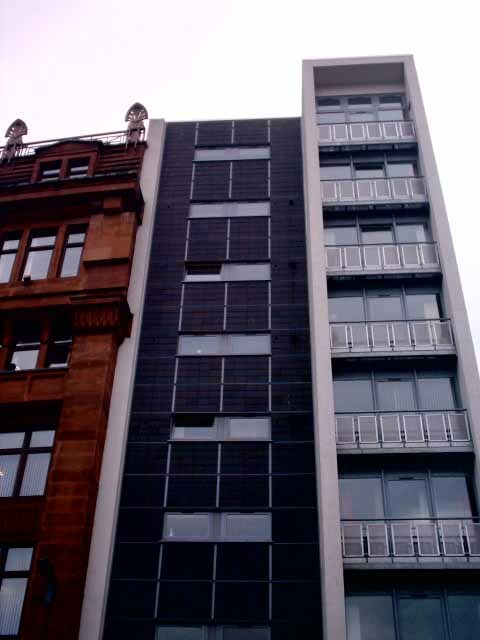 The project retains the listed facade at the corner of Ingram Street & Hutcheson Street. The Architectural Heritage Society of Scotland have objected.